At Choices 4 All we like to challenge our volunteers to do things they deem impossible, we are about collective and individual achievements. 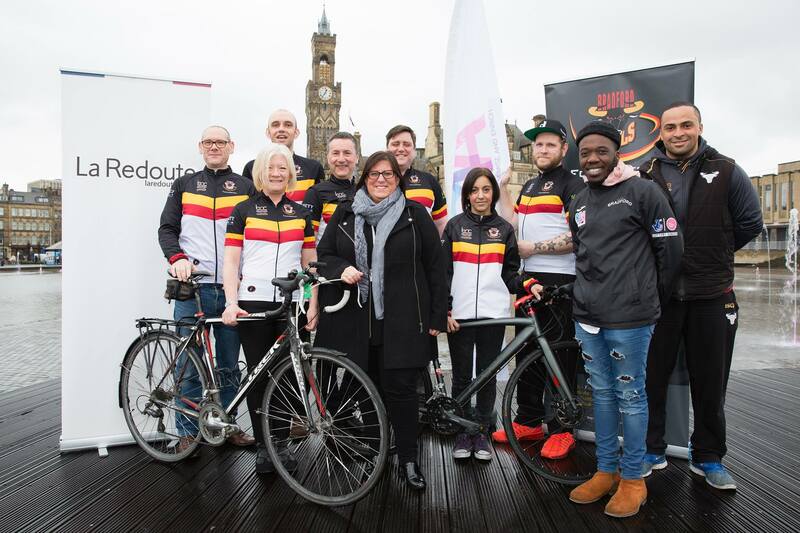 The six-day challenge is in aid of the Bradford Bulls Foundation and Choices4All in partnership with Bradford Cycle Club. The Foundation provides a safe place for cyclists to train: the foundation aims provide positive activities and experiences to adults, children and young people, regardless of gender, religious belief, cultural heritage or abilities. The Foundation uses the power of sport to educate, motivate and inspire the local community. Bradford-based online fashion retailer La Redoute, whose French headquarters are in Roubaix, are the title partners for the challenge. Richard Burke, CEO at La Redoute UK, " As a business headquartered in Roubaix with its UK head office in Bradford, it’s an absolute pleasure to be able to support the club as they endeavour to raise much-needed funds for two very worthy local causes." The inclusive ride is in aid of Bradford Disability Sport and Leisure (BDSL), a charity which aims to provide disabled people with high quality sport and physical activity.They run various clubs and activities across the Bradford district every day for more than 400 disabled people. The Hamm trek is a one way cycle and split into 60-mile daily rides and only in Europe on cycle ways. The group travel from Bradford city centre to Hull and then get a ferry to Rotterdam, where the cycling leg starts; this see the cyclist travel for 260 miles from Rotterdam to Hamm.